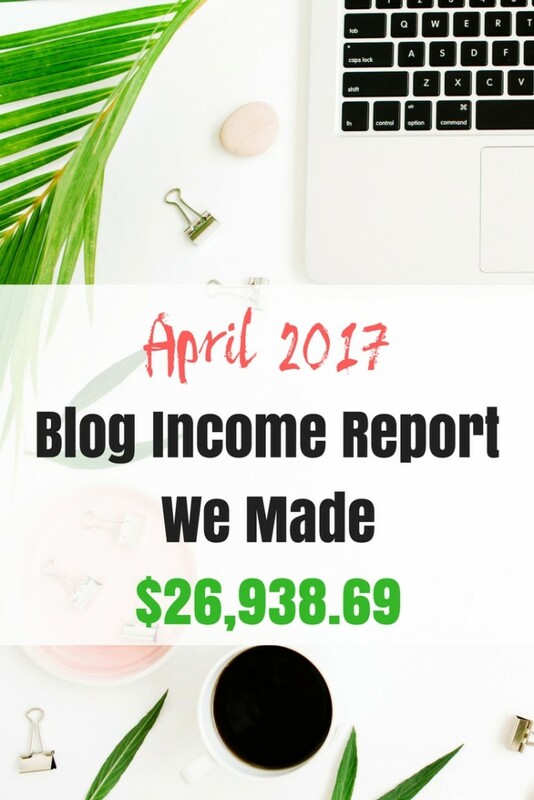 April 2017 Blog Income Report – We Made $26,938.69 – It's a Lovely Life! The month of April was a good one! The income was good, but not as good as March. We consider it a “good one” because we started to grow our business in new ways and we were able to establish some systems that are taking our business in exciting new directions. But first, why in the world would we post our income online? This sounds crazy, right? We are hoping that these reports will motivate other bloggers, both new and established, and help them attain their own income goals. I have recently started working on the blog full time. Since I am more of a business and numbers guy, this is the exact type of project that I love. 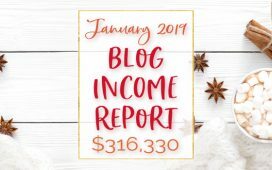 Reading other income reports such as Pinch of Yum, Making Sense of Cents, and Just A Girl And Her Blog over the years has motivated us and shown us what is possible. Now, we are ready to devote time each month to preparing these reports, and we hope others will find inspiration and tips from reading ours too. It's A Lovely Life is a lifestyle and travel blog. We love to share about products and services that make life better and easier. We also travel the world 150+ days a year as a family, featuring resorts and many family friendly destinations. Heather is the main writer for the blog, and she has been blogging for about 10 years now. She started writing about budgeting and saving money and gradually transitioned to writing about our lifestyle and travel. She has built this blog to what it is, and she loves every second of it. I have been a licensed real estate broker for the past 10 years, owning our own successful brokerage. At the beginning of 2017, we made the decision that I would work on the blog full-time because the income potential is so great. I learned so much in the real estate world that directly benefits our blogging business. The climate in 2017 is completely different. Brands are very excited to work with bloggers to feature their products and services in the form of sponsored posts. Sponsored posts are essentially advertisements, but are crafted in a natural way that is much more effective than standard print and online ads. For the past 4 years, the majority of our blog income was derived from sponsored content. Each year our blog income has increased dramatically and it shows no signs of slowing down. As our following and traffic grew, we were able to increase our sponsored post rate and stay very selective in what brands we choose to work with. Our income has risen to the level that Heather and I can work together, and we absolutely love it! There is no more commuting to work for me (unless we are traveling for a story) and we are able to spend much more time together as a family. When it really comes down to it, that is the most important thing of all. We also have gotten heavily into video over the last year. We film some standard vlogs, travel vlogs, room and resort tours, as well as some short funny videos. We have also been hired to do numerous sponsored video content projects over the past year for lifestyle and travel. According to all the research, video will become increasingly important, and we want to be poised to take advantage of that. So far, the results have been amazing. Over 5000 people have signed up since mid-March, and we plan on expanding our marketing considerably in the coming weeks. 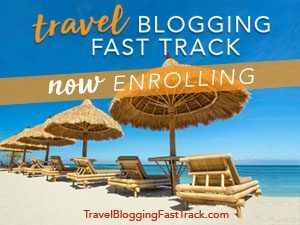 We are currently working on extensive courses on both money making blogging and travel blogging. These will be premium courses that we offer for sale. Due to the volume of content, they are not ready yet….but they will be ready soon. We will be sharing all the secrets in these courses so you can duplicate our success. Most of the signups for the free courses come from spending money on Facebook ads. In the past, we have resisted spending on Facebook ads because we love free traffic (who doesn't). But, in order to reliably increase signups, we knew we needed to spend a considerable amount on ads to make this happen. Facebook ads are a difficult thing to master, but after some trial and error and a LOT of research, we have been able to gradually decrease the cost per new subscriber. We know we need to dramatically increase our email subscriber list in order to hit our future income goals. In April we continued our progress into the world of affiliate marketing. We have always resisted this area, and have solely focused on income from sponsored content. While we still plan that sponsored content will be a major portion of our blogging income, we realized that we were leaving a considerable amount of income on the table without affiliate marketing. Going forward, we will increase our affiliate marketing efforts for those products and services we love. This will increase our income as well as help our readers get matched up with things that we know they will love too! Before we get into the numbers, I want to make it clear that everything we have done can be duplicated by you. 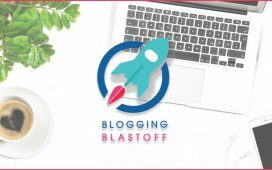 Blogging is not rocket science! You just need some knowledge and persistence and YOU too can duplicate or surpass our results. ***Please note that much of the income listed above has not been received yet. These figures are based on projects committed or contracted during April. Some of the projects have been completed already, and some have not. For the purposes of these income reports, we will recognize the income in the month in which the work is committed or contracted. It also includes affiliate income generated. In both cases, there is sometimes a lengthy delay between these steps and when the funds are actually received. We have left out individual names of sponsors for their privacy. Facebook Ads – Used to drive signups for our free email courses and build our email list. We spent $4,501.85 in April 2017. Grammarly Premium – helps me with my Grammar! From the list above, you can see that our list of expenses for the blog is extensive. However, many of these tools and expenses are things that helped us get to where we are today. Over the years we have tried out many additional services and tools that did not work out, but the above list of items is crucial for our success. Overall, we are very pleased with our April 2017 income of $26,938.75. Our year to date income of $122,314.50 is an average of $30,578.63 per month. We plan to increase this number substantially. One thing I would like to note is that we turned down numerous sponsored opportunities that were not a great fit for the site this month that would have dramatically increased our income. At this point in our development, it is very important for us to only work with brands that align closely with our vision. We have learned that even though this may hurt our short-term income, it really helps to increase our revenue in the long run. 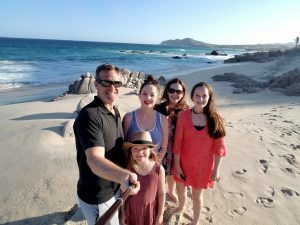 As for travel blogging in April, we just came back from a 6 night trip to Cabo San Lucas with the whole family. We stayed at 2 separate resorts, the Riu Palace and the Grand Velas Los Cabos. We were hosted on this trip at both resorts and are working on completing the coverage. It was an amazing trip! Continue increasing our sponsored post income. We love working with brands to tell their stories to our readers and are really looking forward to some really great summertime posts. Increase our affiliate income substantially. Since we just started working on affiliate income in March, we are still fine tuning our system, but we feel that May will be really big for us. Launch our money making blogger course. This is going to be a huge course where we share everything that we have learned to make the substantial money we make on our blog. If you want to sign up to be notified when the course is released you can add your email here and we will keep you updated on the release. 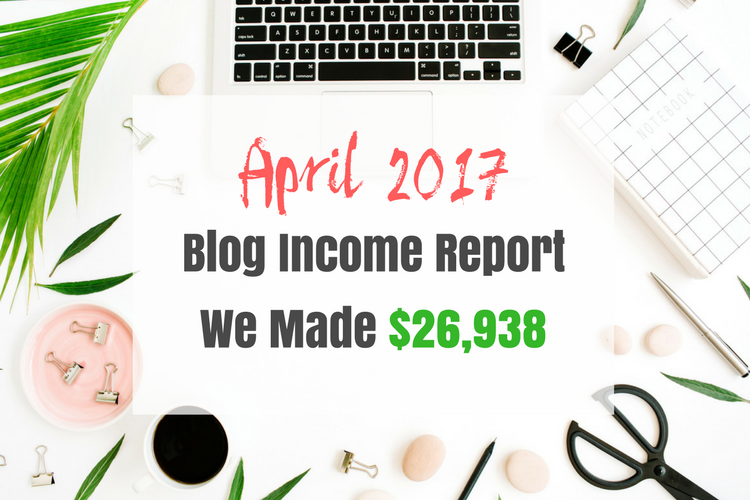 So that's a wrap for the April 2017 Blog income report. Follow along each month as we detail our money making efforts on the blog. Remember, this is something that you can duplicate too. You just need to have a plan in place and the persistence to pull it off. We'd love to hear about YOUR blogging journey in the comments below. You guys are doing amazing! Those are big numbers for one month! I look forward to seeing what next month brings. Nice numbers, man. You guys are rocking it. Those are really impressive stats. Keep working it. It’ll be exciting to see where you guys end up. That is super impressive! I thought making a little over 100k last year was awesome, but you def are rocking it above and beyond! Very cool and inspiring! Thank you Amy! 100k IS awesome!! Way to go! It sounds like you guys are already well on the road to success. I’ll look forward to watching how much more your blog grows in the future. Way to go! 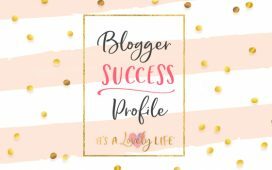 It’s nice that you are trying to inspire other bloggers to success. Thanks Pam! We are loving working with other bloggers and are having so much fun in our groups. That’s amazing and most inspiring. I’m really enjoying the 10K challenge. I’ve had a lot of positive feedback from family and friends since the launch day challenge. They love it and said they are looking forward to seeing more posts. That was encouraging because I’ve been so reluctant to start a blog for a few years now. I’m glad I found you guys on Facebook. Your ads work 😉 You have been most helpful, responsive and very involved in the group. The community in the group is very inspiring and encouraging. Keep up the good work! Thanks so much for all that you are doing for new and existing bloggers. Thank you so much for your kind words Vy! I’m glad you are enjoying the 10k Challenge. It has really been a lot of fun for us too in putting it together and interacting with everyone in the group. We plan on doing a lot more of these types of things in the future to keep things fun. These are such huge and inspiring numbers. It definitely motivated me. I’m a relatively new blogger and numbers like this excite me. I’m particularly grateful fir the very extensive break down of expenses and income generation. Thsnk you so much for this post. Hi Bel! I am happy to hear that this is motivating to you!! That is one of the main goals that we are trying to accomplish by releasing these income reports. Thank you guys for your candidness, as well as all this rich information! It really is nice to see the $ numbers and it certainly gives me hope of what can be achieved in this business. You are definitely welcome! There is a lot of $$ to be made in blogging these days and really we are only scratching the surface of what is possible. It’s really awesome to see this all written out for people who dont understand how much actually goes into blogging and how successful it can really be! Congrats on your progress and i wish nothing but success to you guys on your new adventure in the blogging world! That’s what I used to make in a year! I bet you all stay busy! Yes, we definitely stay busy! But, we wouldn’t have it any other way. Wow, you guys did an amazing job! I would SAY that’s a good month! Blogging can be well worth the work. That’s an amazing amount of money, congrats! Thank you Beeb! Yes, there are so many opportunities now in the blogging world. My goal is to bring my blog to this level. I am working hard at it, but I really appreciate the ideas as to how you guys do it. That really helps point me in the right direction. You can do it Dawn! Keep working hard at it with a good plan and you will get there. I love reading about people who love their job and find a way to bring in income and still be fun. That is true! Heather and I really love doing this. Congratulations! You guys are doing unbelievable things! I wish I could do as you do. There’s still so much to learn but I am not giving up. I will use you as an inspiration to take my blogs to greater heights. Hi and thank you! You can definitely do what we are doing. Hopefully you join our facebook group that has some wonderful information that can take your blog to the next level. Thank you for sharing this. I know that as long as you do what you are passionate about, the income will just flow in easily. Blogging is hard work. It demands dedication and long hours of brainstorming to come up with good creative content! You are an inspiration to those who are thinking of creating a blog. It may not be easy at first, but yes, it is doable. You can earn a significant income from blogging! Hi Annemarie! You’re welcome. Yes, it is definitely hard work, but fun work too. There is definitely earning potential for blogs these days. This is quite amazing and it’s definitely something that will inspire fellow bloggers to continue what they’re doing. 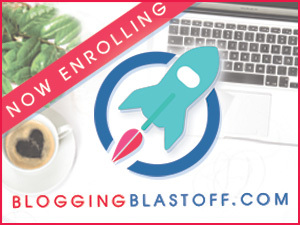 Or even give confidence to those who have been wanting to start a blog for the longest time. Thank you Amanda! That is a main goal of ours in releasing these reports is to hopefully inspire others to start their own blogs. Thanks Shannon! Yes, there are a lot of great perks in this profession even if the money wasn’t even considered. It’s great to have that kind of freedom and being able to spend more time around the family. Thanks for sharing you gave me some inspiration. Really like what you are doing. Thank you Cathy…that is great to hear!! This is extremely motivating! As a brand new blogger that has made zero dollars this keeps me moving toward my goal! Your 5 day course has been so helpful. This is unbelievable! You guys are amazing!! Congrats! !